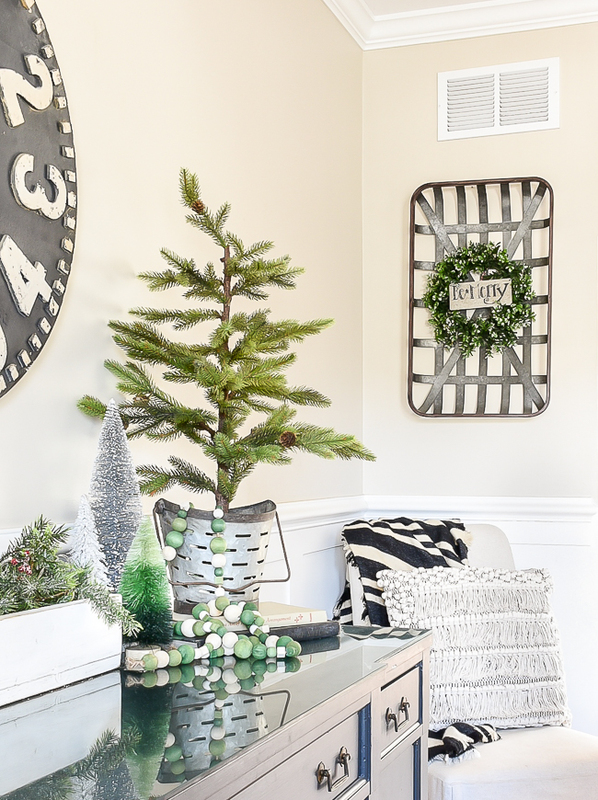 A classic Christmas home tour featuring silver and green, pops of red, vintage decor and affordable ways to create a beautiful holiday home on a budget. It's officially Christmas time and I couldn't be more excited! 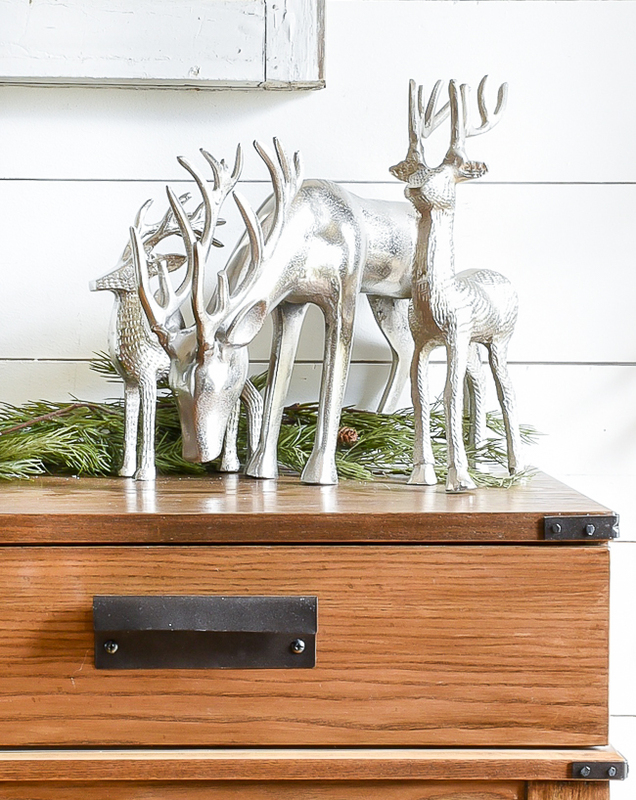 I'm not a fan of the shorter days and cold nights, but I sure do love decking our home out for the holidays. 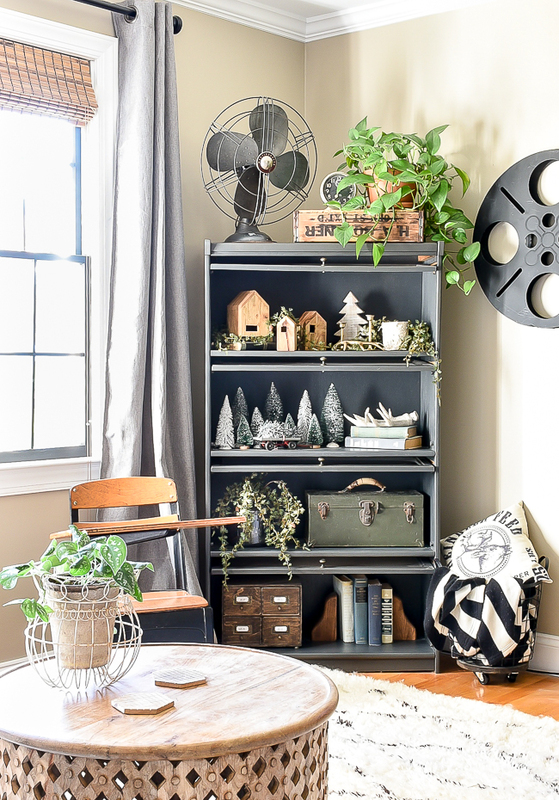 This year, I decided to switch things up a bit and opted to leave out my popular entryway Christmas gallery wall in lieu of something a bit more simple. 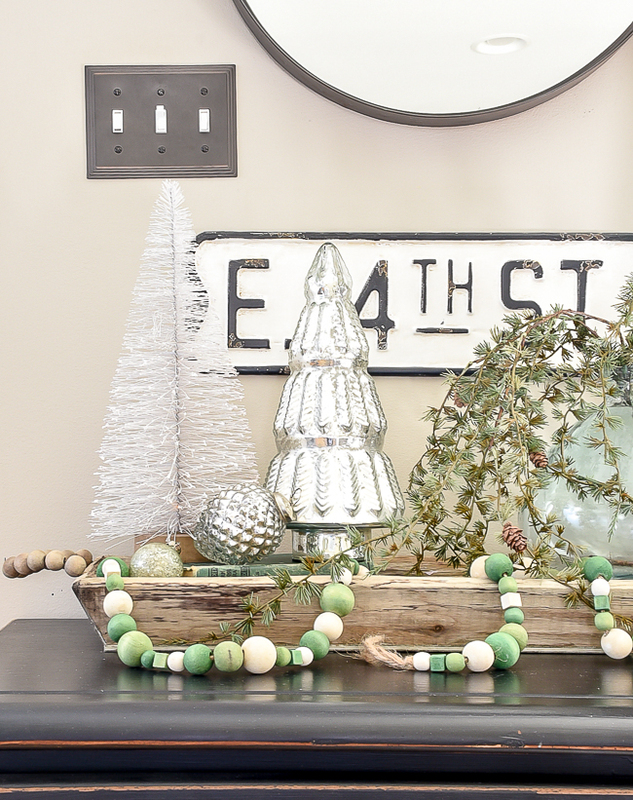 I went with a green, white and silver color scheme that I carried throughout our home. 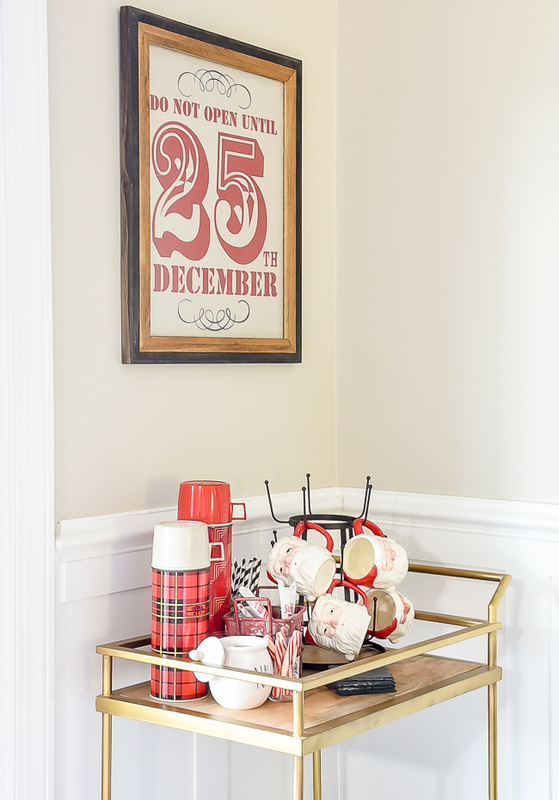 I accented with a few pops of red, classic vintage decor and budget-friendly DIY projects. 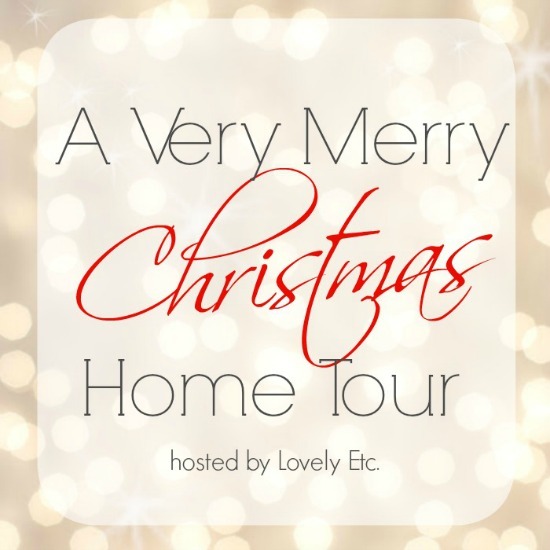 I'm so excited for this year's tour and even more excited that I get to team up with some very talented bloggers for the Very Merry Christmas Home Tour! A special welcome to those visiting from Jenna Kate at Home or one of the other many tours. 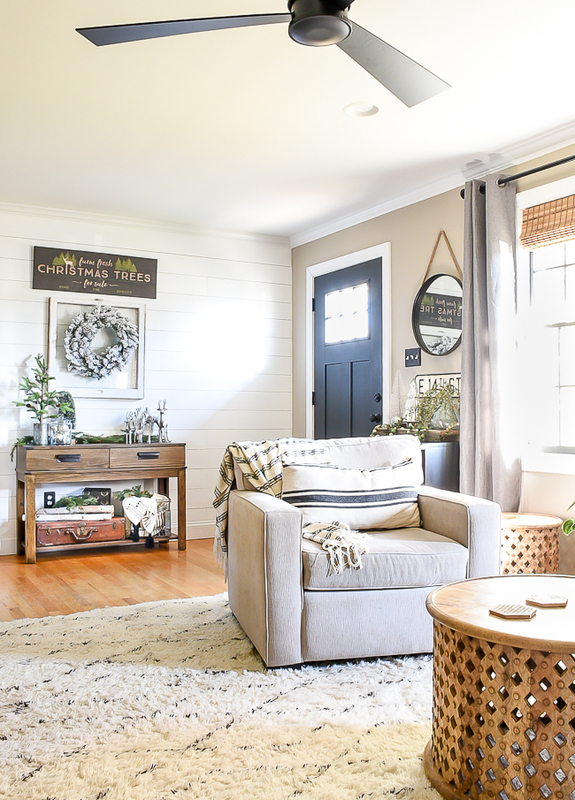 I'm so glad you stopped by and I hope you stick around and follow along as I DIY, update and decorate our home on a budget. 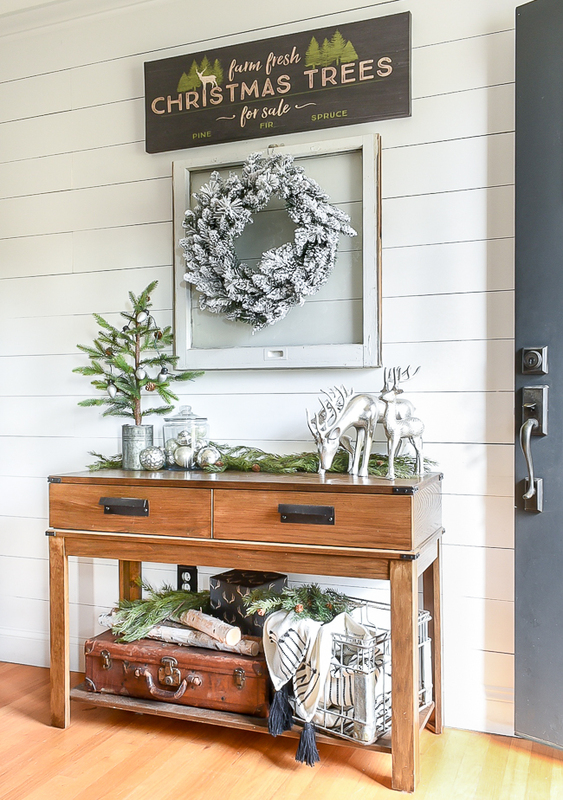 Our entryway is the first place you enter when you walk into our home. 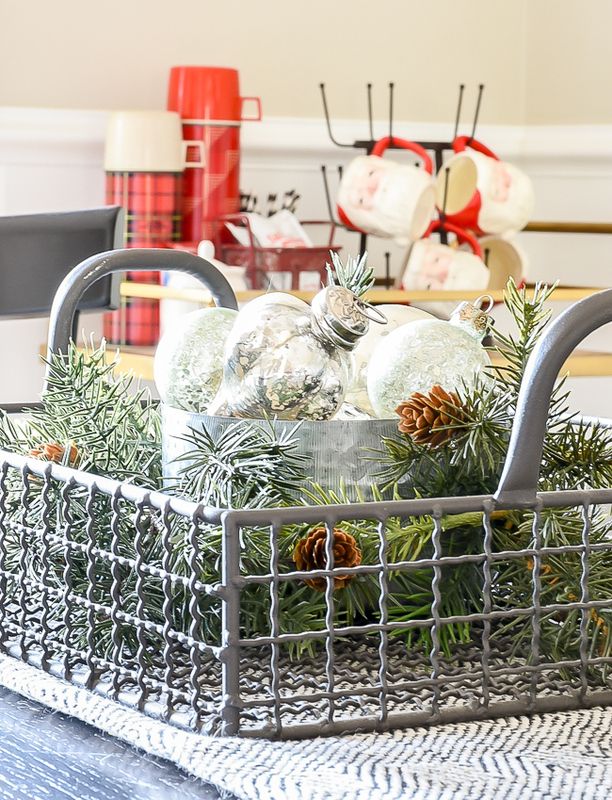 It's also my favorite place to decorate for the changing seasons and holidays. In the past, I've always created a holiday gallery wall, but this year I challenged myself to decorate a bit differently. 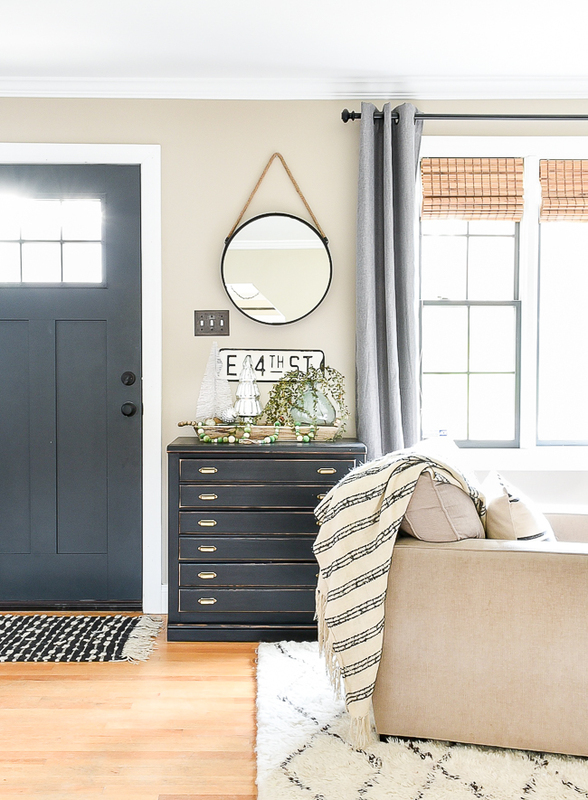 Just the other week, I shared how I used free windows to decorate our mudroom. I had one plain window left that I knew would be perfect for our entry. 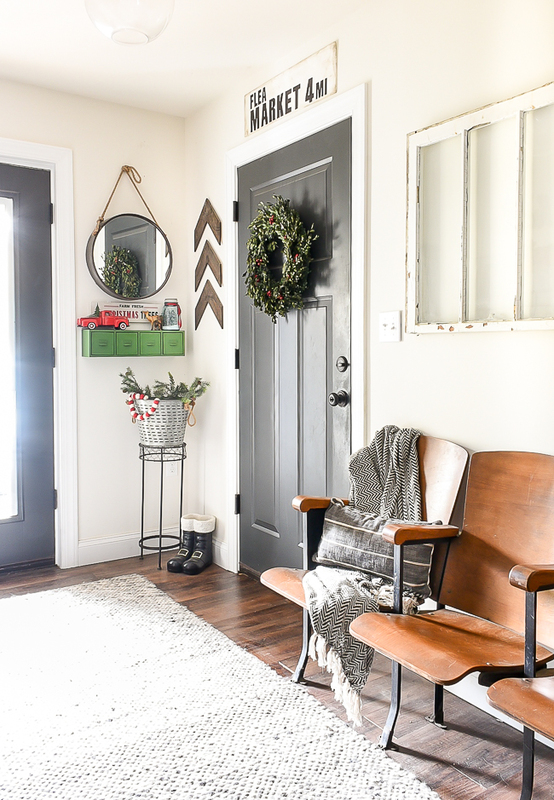 I hung an inexpensive flocked wreath over the window and for less than $10 I had instant wall art perfect for all winter long. 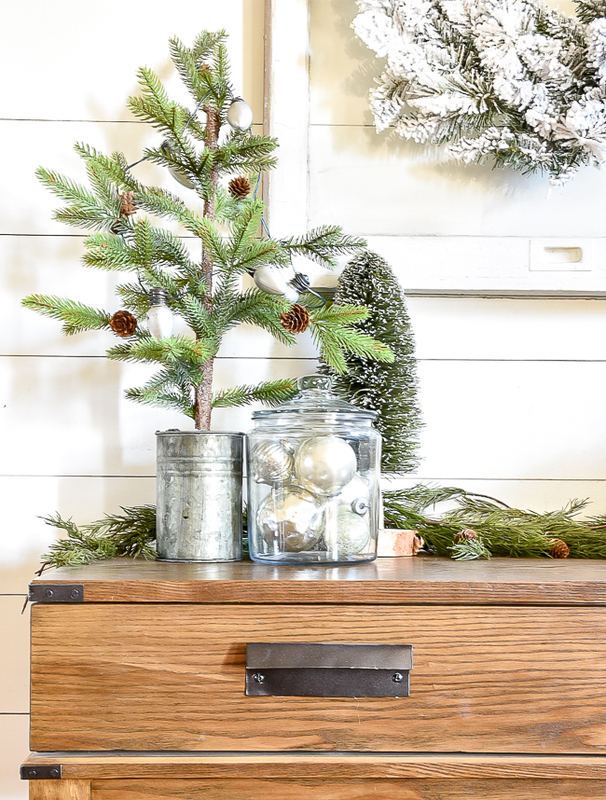 I kept the table simple with my favorite pine tree decorated with vintage inspired lights from Dollar Tree, a glass jar filled with vintage ornaments and a family of silver galvanized deer. 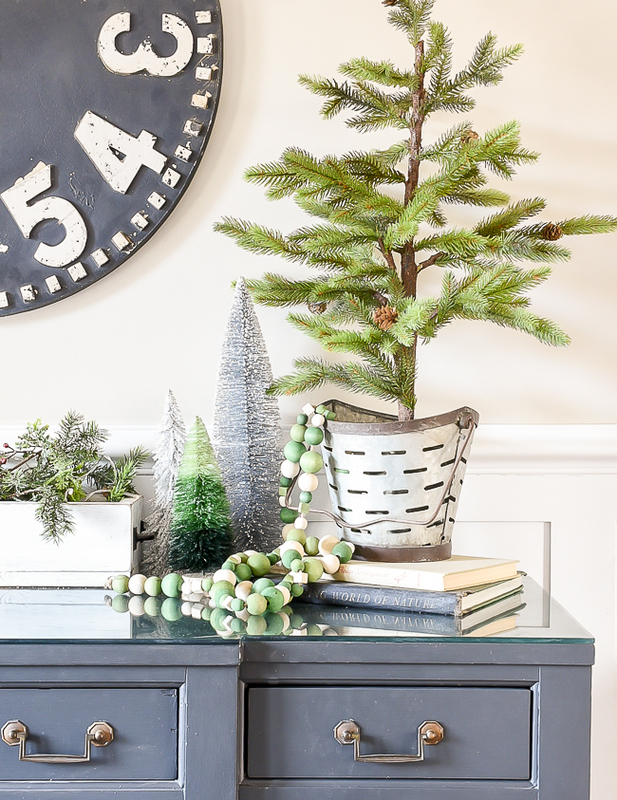 Birch logs, faux greenery, a cozy throw blanket and a wrapped empty box finish off the table for a neutral and Scandinavian inspired Christmas entry. 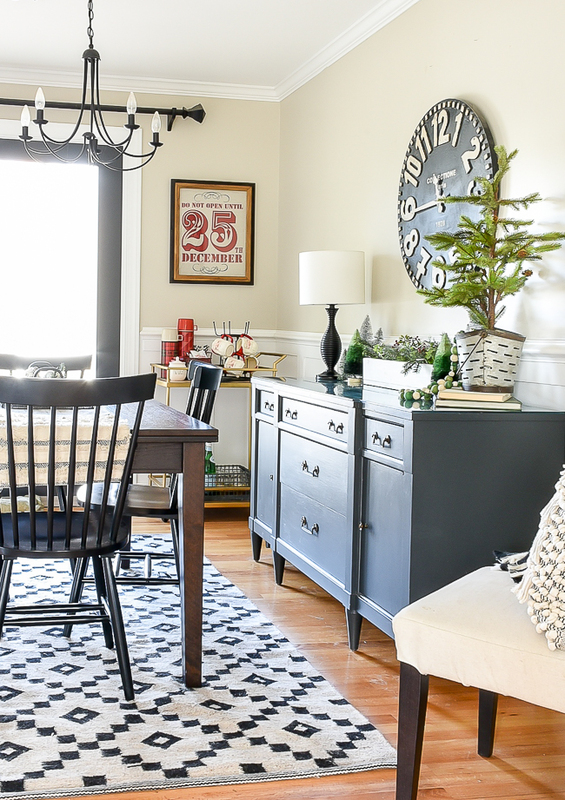 I carried the same color scheme throughout the room and kept things interesting by mixing materials and textures. 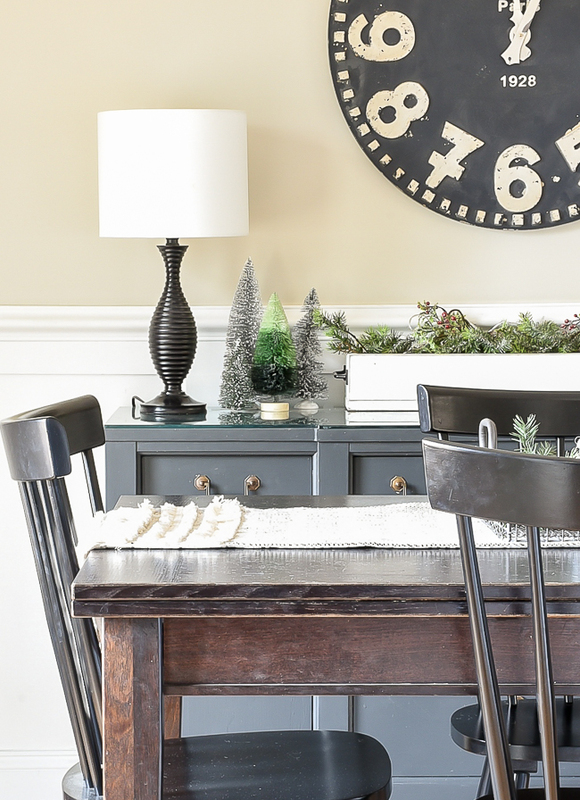 Our dining room table gets used daily, so I opted to keep things simple. 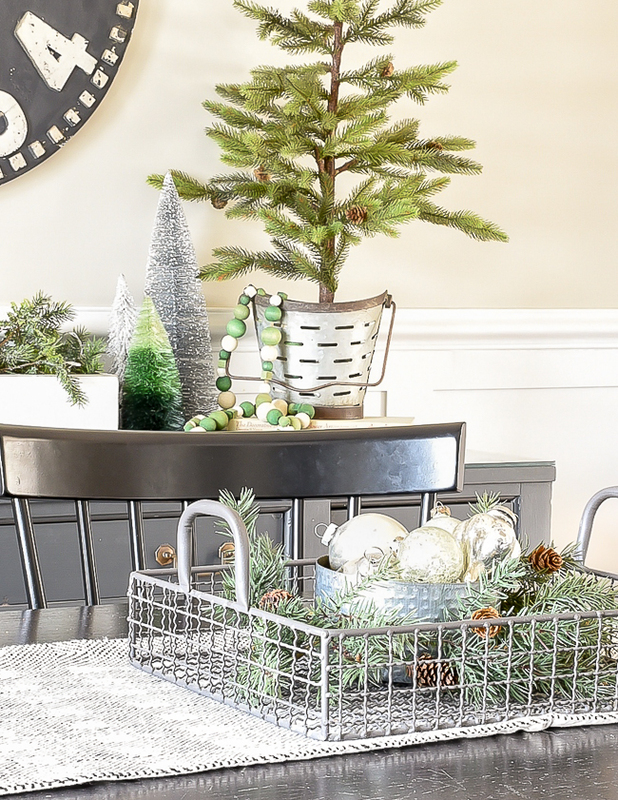 A metal basket, faux greenery and a repurposed Walmart candle (that now doubles as a decorative bowl) are the perfect place to display my favorite vintage ornaments. 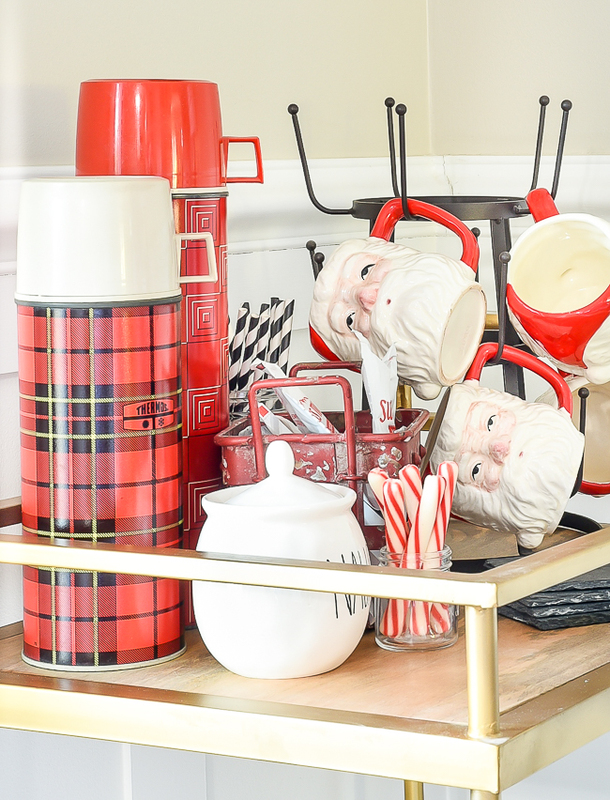 We're big fans of hot chocolate in our house, so I jumped at the chance to make a little hot chocolate bar with my vintage Santa mugs and thermoses. 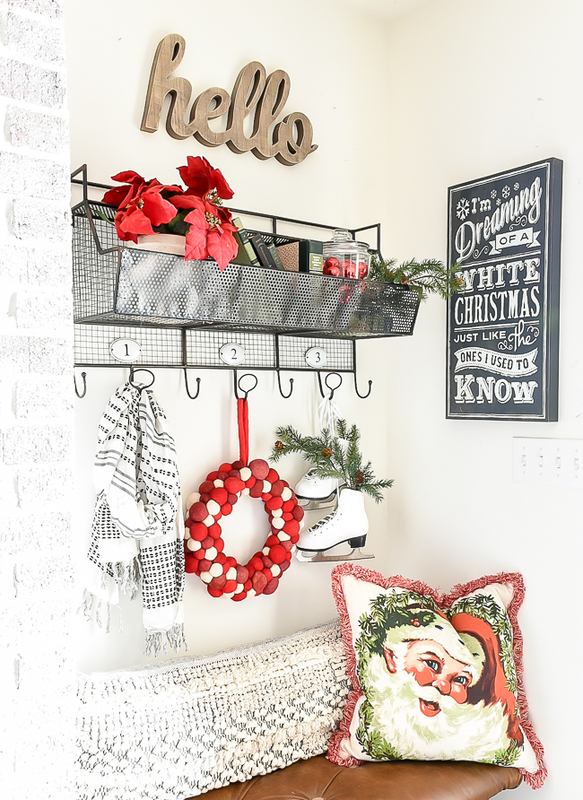 Just above the bar is DIY Christmas artwork that I made last year using an inexpensive burlap sack. 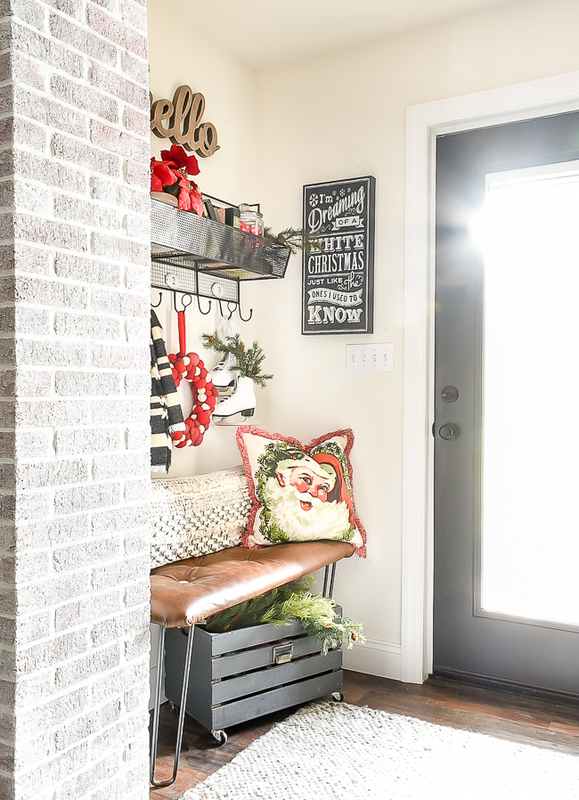 I added a few extra pops of red in our mudroom because I couldn't bear to leave out my favorite felt ball wreath and vintage Santa pillow that I found at HomeGoods this year. 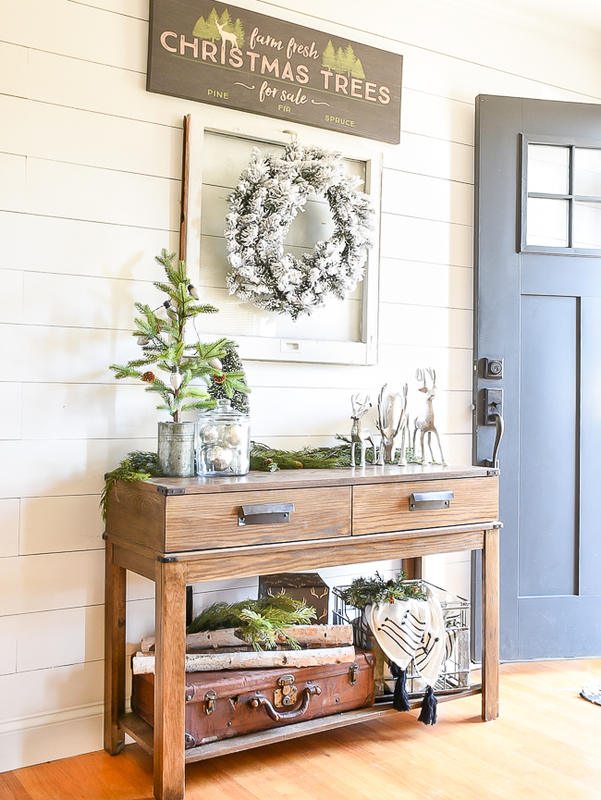 White skates with greenery, old green books and a few vintage finds (glass ornaments and deer) finish off the mudroom for an affordable and classic look. 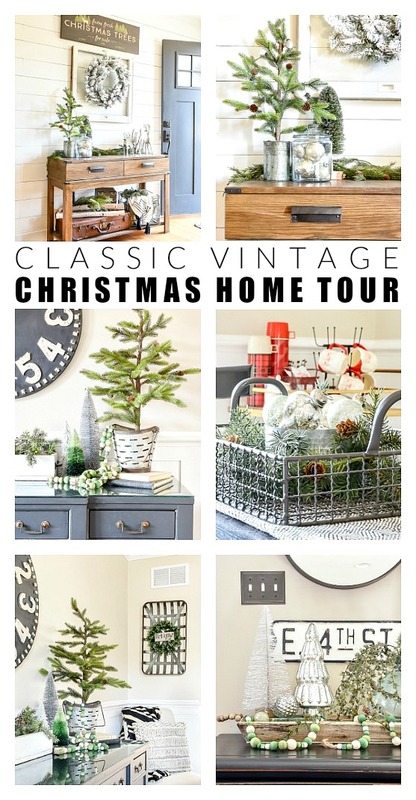 I hope you enjoyed the tour and ideas for creating a budget-friendly and classic vintage inspired home for Christmas. 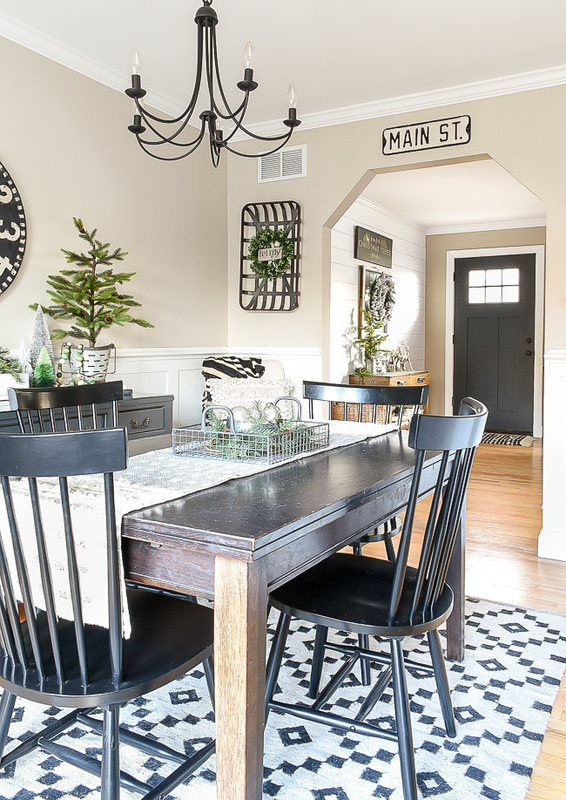 Before you go, make sure to stop over and say hello to Love & Renovations and check out some of the other beautiful home tours below. LOVE the soft and cozy colours! Everything looks so beautiful Katie! Golly gee, friend! You sure know how to "deck the halls". Your home looks so incredible. Katie, everything is beautiful! 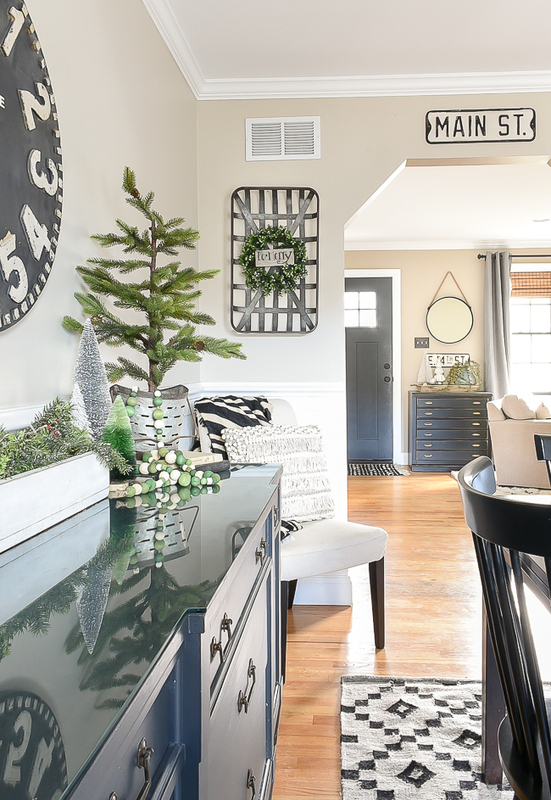 I love all of your touches and the entry wall with the wreath on the window is perfect! I didn't even miss the Christmas tree! 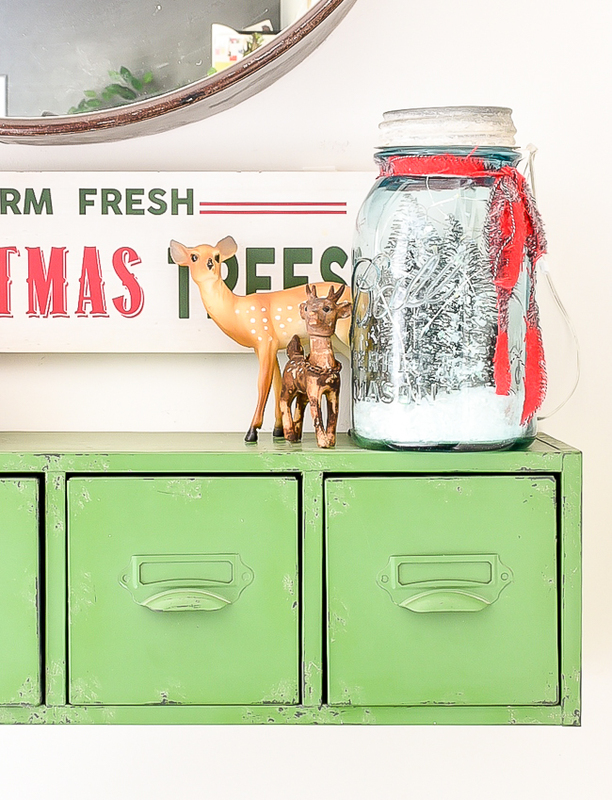 There's so many great holiday vignettes in every corner. Absolutely loved all of them! So classic and beautiful. Katie, I just have to tell you that your blog is AMAZING! I am always, always inspired. Thank you for sharing your talents! This is all so beautiful, Katie! I adore those ice skates, and I love all the pops of red! Wow, what a beautiful Christmas tour! I honestly didn't realize that the tree was missing because there are so many other festive touches! Love it!